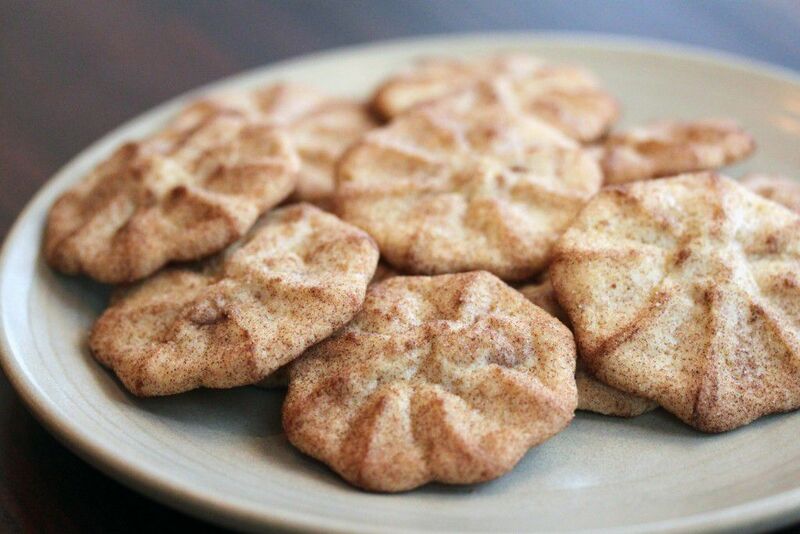 While snickerdoodle cookies can be enjoyed all year long, there is something special about indulging in the cinnamon and sugar treat during the holidays. Baking cookies can be a fun family activity, and it makes your house smell simply delicious. Enjoy this recipe for yourself, or bake some snickerdoodles for your friends. Baked goods make the best gifts because they really show someone you care. Enjoy! In the bowl of a stand mixer fitted with the paddle attachment, cream room temperature butter and sugar until light and fluffy, about 4 minutes. Add the eggs one at a time, scraping down the sides of the bowl and mixing well after each addition. Add the dry ingredients and mix until the dough comes together. Scoop cookies using a tablespoon onto a baking sheet. Place in the refrigerator to chill for at least 30 minutes (unbaked cookies can also be frozen at this point). When cookie dough is thoroughly chilled, gently lift each one off the baking sheet and coat it in cinnamon sugar. Return cookies to the baking sheet, spaced about 2 inches apart. Bake for 15-20 minutes, rotating pans halfway through baking.